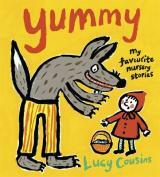 You really can’t go wrong with a book by Lucy Cousins and the Maisy series provides endless joy for my toddlers. 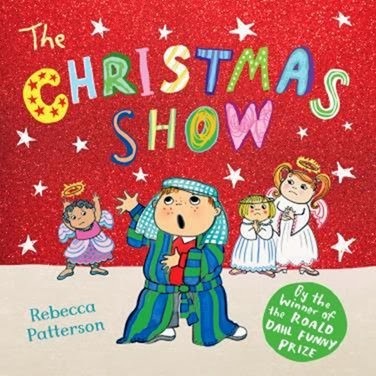 We were excited to receive the latest book Maisy’s Show to review. 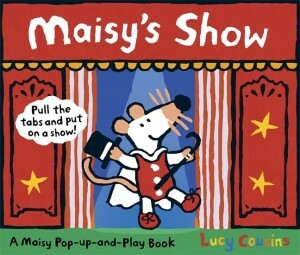 Maisy’s Show is one of the more interactive books, this has pull out tabs and at the end, a spectacular pop up scene. Unsurprisingly, my children really loved it. 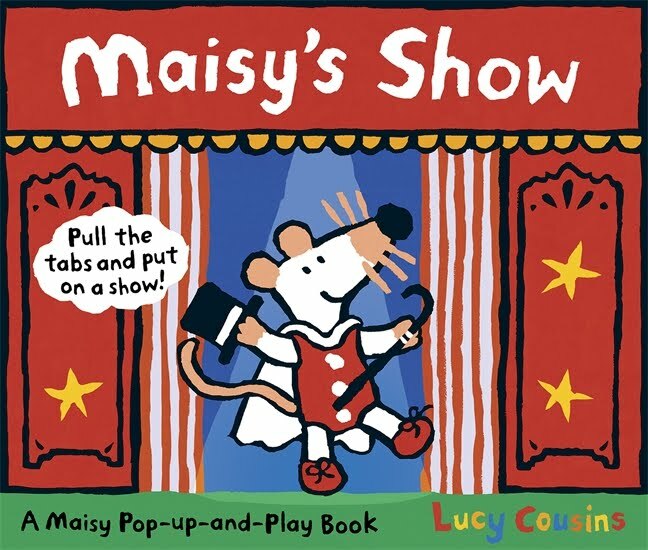 The story follows each of the Maisy characters as they prepare to put on a show. It’s simple and fun. Toddler Boy and Fifi loved pulling out the tabs, in particular Charlie Crocodile with his cartwheeling. We were all thrilled by the pop up scene at the end. It inspired us to make our own scene using a cardboard box and more paint. At the moment we have a work in progress and I think I may make some Christmas figures to add to it. A photo will follow! Hopefully I’ve convinced you that this book is worth seeking out for your kids, I think you will enjoy it too as it’s quite inspirational in providing ideas for home made pop-ups. It’s a great addition to the bookshelf and gets a big thumbs up from us. You can get a copy here. HI there! I found your blog on Top Baby Blogs and it&#39;s lovely! I am your newest follower via twitter Nice to meet you!!! You can find me at http://www.bouffeebambini.blogspot.com<br />Have a peek at my all handmade giveaways if you stop by. Everything is gorgeous!